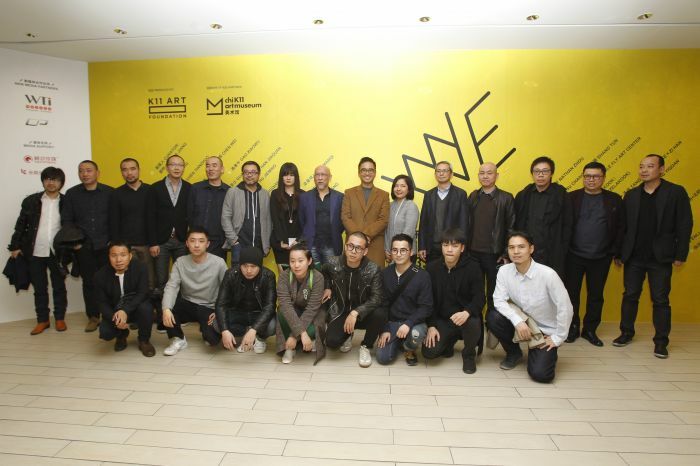 Group photo at the Opening of WE show at chiK11 Art Museum, Shanghai. 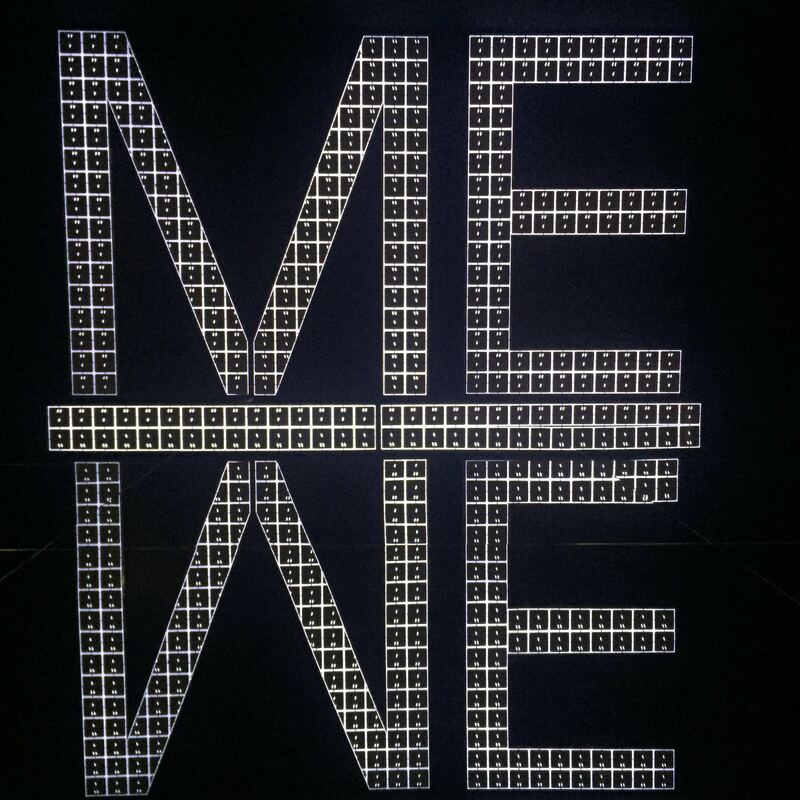 On the occasion of “WE – A Community of Chinese Contemporary Artists” exhibition engineered by K11 Art Foundation, more than 50 contemporary artists are assembled into a group that is simply called “WE”. Shanghai-based writer Jacob Dreyer discusses this new artist community and creative momentum emerging in Shanghai. Shanghai’s art infrastructure has grown so quickly that it’s easy to forget that not long ago, the city was an artistic desert. The scale of the development of galleries, artist communities, art media clustering, and even entire new art districts has been rapid and overwhelming. Beyond the glitzy opening nights, the efforts made by some to forge a genuine community devoted to artistic practices and critical reflection on the space of the contemporary city- and the globalization of those voices- represents something truly significant. There’s no space more emblematic of this than the chiK11 Art Museum – or more often casually referred to as “K11” by the art circle –, of which gallerist Matthieu Borysevicz told us, “K11’s unusual model is quite effective for introducing art to the unsuspecting consumer, and the company’s commitment to both local and global arts has made it a welcome and staple destination.” K11 smuggles art into the framework of people who might not have been exposed to it before. Artist Jin Shan (靳山) commented to us on opening night, the WE show is interesting not only for the works themselves included, but for the diagram of the coming community of Shanghai’s contemporary. Who is this “we,” and where did “we” come from? What actors have come together – both private and public – in making contemporary art so much more accessible to Shanghai residents? Hu Renyi (胡任乂), an artist whose work was included prominently in the show, has been in and out of Shanghai for years (that is, when he’s not teaching at the School of Visual Arts in New York). For him, K11 has already shaped the present setting of art production and exhibition in Shanghai, configuring the relationship between art and society. It’s easy to parody the notion of an “art mall,” but the crowds who come out indicate that this liminal space has already proved to be a unique way to introduce contemporary art to those who were not familiar with it before. The key point is the ways that contemporary art can be introduced to China’s new middle classes, a public which didn’t exist even a decade ago. 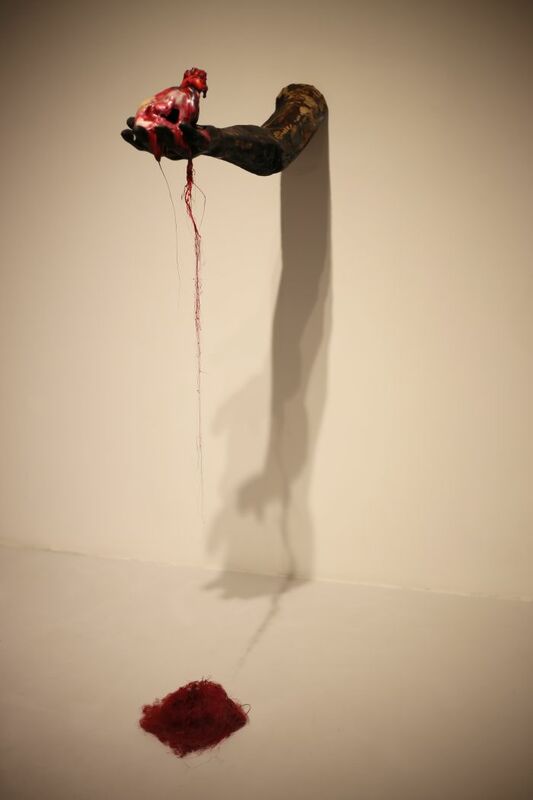 For example, during a recent exhibition of Dali’s work at K11, curator Robin Peckham managed to squeeze in works by exciting young Chinese artists such as Lu Yang (陆扬), and more established, yet still experimental artists such as Zhang Enli (张恩利) (both artists appeared in the ‘WE” show as well), creating a space for art to meet society that would have been improbably in Beijing’s 798 district. The K11 artists, an interconnected and flourishing community defined by youth and experimentation, have been lifted onto global platforms, in part by an emerging cultural apparatus that enables artists to reach audiences they could never have otherwise. To name a few “WE” artists who have reached the global stage via K11’s efforts, Chen Tianzhuo’s (陈天灼) recent show in Paris or Cheng Ran’s (程然) upcoming film screening at the Istabul Biennal are two great examples: the “we” of the show is a real group, friends who see each other every weekend at openings at edgy Shanghai galleries like Bank or Antenna Space – and whose works access mass audiences domestically – not just in Shanghai, but in other K11 spaces in cities such as Wuhan and Shenyang, and worldwide, thanks to the new curatorial platforms that have emerged. Daniel Ho, editor in chief of local art magazine Randian, has been based in Shanghai since before the tidal wave of art hit. Even as the art world has flourished, and the social position of art has become much more prominent, he retains a critical distance, commenting on how the museum boom in Shanghai and elsewhere “changed dynamics… in terms of awareness – of art as conspicuous consumption on the one hand and museums as urban LV bags on the other.” What sometimes appears superficial about the new art world in Shanghai is the respect in which the vanity fair has simply found a new axis to pirouette around, taking selfies as they (we?) go. 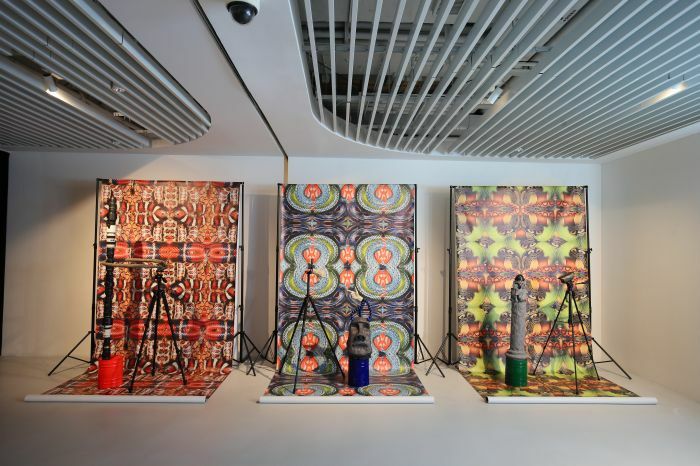 The distinction between commercial spaces and branding, and contemporary art spaces, have been almost completely erased in the city where the creative director of Gucci proclaims himself to be a curator (in fairness, the Gucci show No Longer, Not Yet at Minsheng Museum included some excellent works, notably the video work contributed by Cao Fei (曹斐). At the end of the day, though, such critiques might reflect the fact that the city’s art scene has developed so quickly. 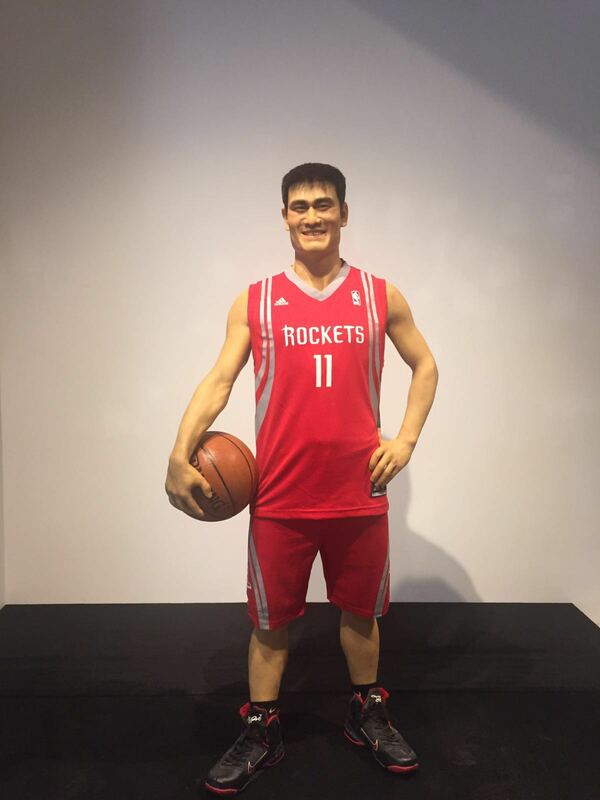 Shanghai does not have the institutional solidity of, for example, New York. Nor should it – the youthful energy and experimentation, an experimentation which inevitably results in failures from time to time, is precisely what is so attractive and compelling. For one art world veteran we spoke to, originally based in Shanghai at a private gallery, now in a major Beijing quasi-public institution (who wishes to remain anonymous as such), Beijing remains the base of production of contemporary art – and a handful of the “WE” artists exemplify this, being based partially or primarily in Beijing. For this Beijing transplant, Beijing perhaps will always retain a universality within Chinese culture that Shanghai, the eccentric, Westernized, unique metropolis can never have – for better or worse, Beijing is a Chinese city, and Shanghai a hybrid. And the truth is, Shanghai is now the main residence for a whole generation of artists who were not here even 3 years ago; as Borysevicz told us, “ [Shanghai] was considered too expensive, the community here too insular or exclusive, but now due to some affordable spaces and an influx of environmental refugees from Beijing, Shanghai’s art community is thriving. And even if artists don’t entirely live here they are now coming through on a regular basis for exhibitions.” And so, a “we” has been born. 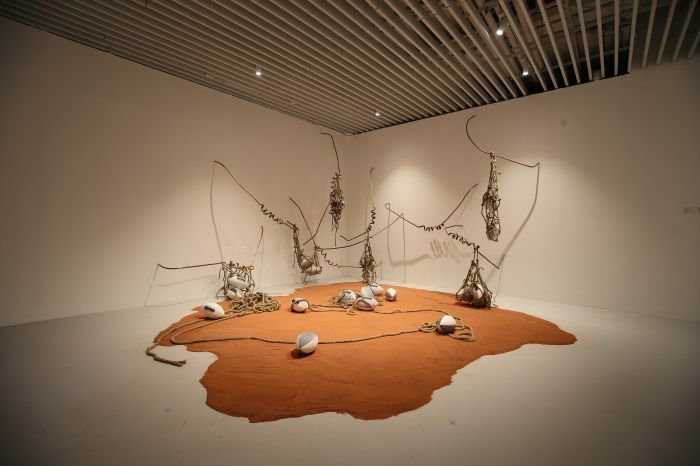 If we are now experiencing a major resurgence of Chinese artists on the global stage, there is a crucial difference: this time, the collectors are more plausibly of the Chinese world, even if they are diasporic or extraterritorial in origin. If a previous generation saw artists forcibly reifying their identity as Chinese in often politically-driven representations, collectors hailing from the mainland, Hong Kong, and diasporic Asia are often compelled by entirely different aesthetics. The museums that they have built to house their works and the galleries that introduced the artists to them are at the cutting edge of the contemporary, with transgressive artists like Chen Tianzhuo, artists working with digital or video formats such as Guan Xiao (关小), or artists who work in unique conceptual formats such as Ye Funa (叶甫纳), often favored. Some of these artists, like Hu (胡任乂), have been here all along; others might have flown in for the weekend. What is without question is that the superstructure of museums, galleries, and yes, art malls, which makes it possible for these artists to spread their wings and fly has made waves all around the world. Guan Xiao, one of our favorite artists featured, just made the cover of Frieze for her ICA show opening soon. 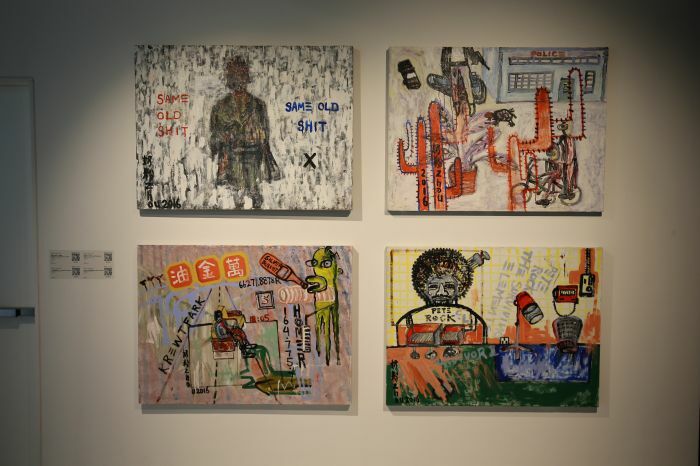 K11 and the new world of Shanghai artists is going global – and for the city’s culture, that’s a wonderful thing. Jacob Dreyer is a Shanghai-based writer and editor. Recently, he has edited a special issue of LEAP magazine, and contributed to The Atlantic City Lab, the Architectural Review, and Domus. His book The Nocturnal Wanderer has recently been published by Eros Press; he is researching a second book about urban space and the creative economy in China.